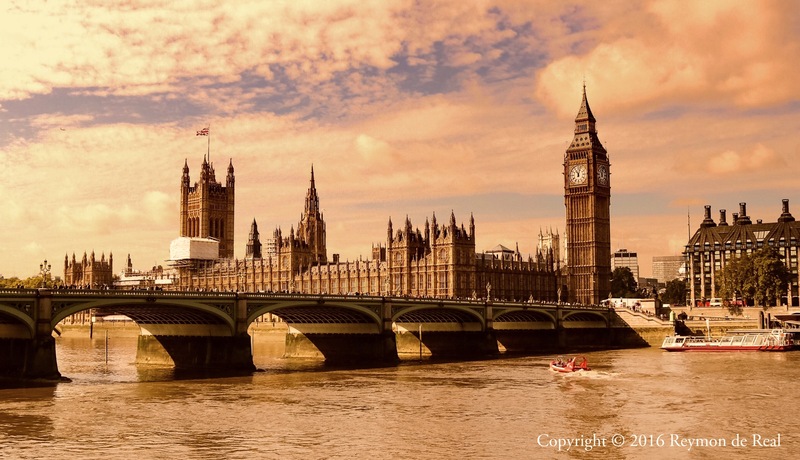 The Palace of Westminster and the Big Ben are iconic landmarks of the British capital and are probably the most photographed in the world. The palace is known as the heart of British politics as this is where the parliament of the United Kingdom meets. The city of London is very rich in heritage and amazingly the past and the present blend together harmoniously. It was an overcast day when I took this picture and the cloud filtered the sun turning everything the light touches into gold. I also accidentally forgot to remove the filter on my camera for this photoshoot resulting in a rich golden shade to the composition. I initially ignored this photo as I thought it was too golden, however, I realized that gold would be the best color to feature the home city of one of the world’s oldest monarchy. The Taj 51 Buckingham Gate Suites was my home away from home while I was in London on vacation for a week. This was once the home of the Lords and Ladies of the Royal Court and just a few minutes walk to the Buckingham Palace, Westminster Abbey and the London Eye. This 5 star heritage hotel boasts of providing its guests with one of the most spacious and luxurious accomodations as well as the finest personal service in London. The hotel also features a Michelin-star Indian restaurant named Quilon, which I thought the food was just okay although the service was quite impressive. The photo above was taken in the central courtyard of the complex where one can sit and enjoy the Edwardian Victorian architecture of the hotel complex, which I think has the most colorful walls I have ever seen. I included below some photos of my residence suite taken using my iPhone. My one bedroom residence suite featured a living room, dining area, kitchen, washer and dryer and a colossal bedroom suite with a view of the 175-year-old Westminster Chapel. Overall, I would say this hotel was one of the best I have ever stayed at and the service was truly at its finest. The highlight of my stay was seeing the Dalai Lama, who was also staying at the hotel, at the hotel lobby. This bronze statue of a man standing beside a lion and holding a hammer and a scroll is part of the Victoria Monument in front of the Buckingham Palace in London. This statue represents Manufacture and is part of a quartet of statues surrounding the monument. The other three statues represent Peace, Progress and Agriculture and all are gifts from New Zealand. This is what commoners like us would usually see of the palace on an ordinary day so I was ecstatic to find out that the palace would be open to the public the week of my trip. 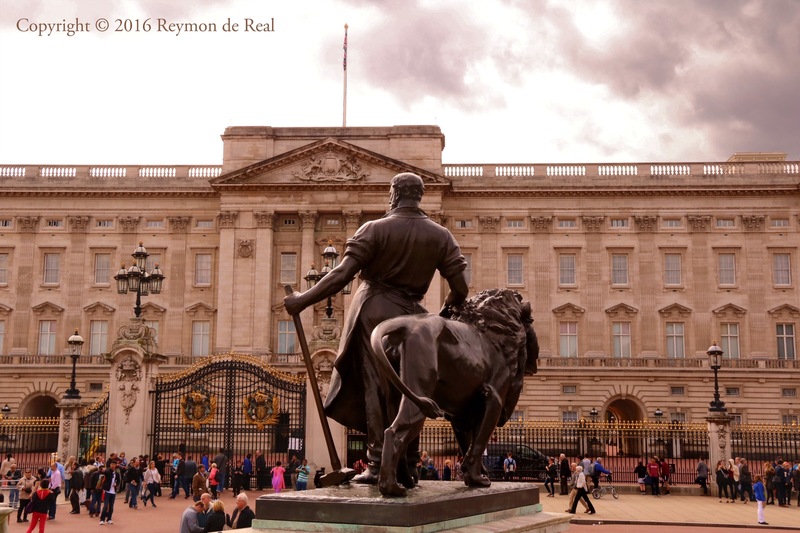 Apparently, the queen open the doors of the palace for a few weeks every summer allowing locals and tourists to explore her humble home. Just make sure to buy your tickets way ahead of time as they get sold fast. 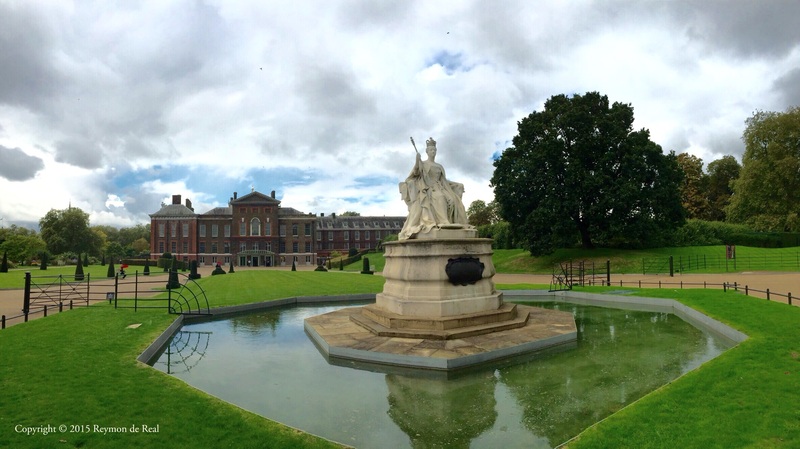 London is one of the best cities I have visited and I promised myself to go back again…soon! I was talking to the hotel concierge to arrange for my check-out and transportation to Heathrow Airport tomorrow when suddenly a huge crowd started to gather at the hotel lobby. The concierge secretly told me somebody famous was staying in the hotel and stepping out soon. Imagine my surprise and amazement to see the Dalai Lama walk into the lobby. I pulled out my iphone and pushed myself to the front of the crowd. This is not my usual photo post but I thought it was cool to share my experience today at the Taj 51 Buckingham Gate Suites. Just arrived in London and was warmly greeted with torrents of rain. LOL! Took these photos inside the taxi on my way to the hotel. Traffic was horrible…it took almost an hour to drive from St. Pancras to Buckingham Gate.